From the beautiful golden night background, carrying a superbly stylish exotic vibe to the pair of golden dragons that are surrounding the reels, Bangkok Nights Slots is excellent in purely visual terms and equally impressive when it comes down to its gameplay. 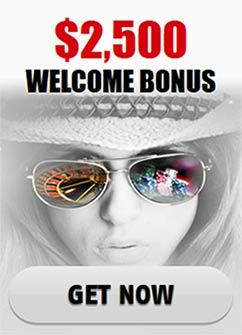 The game offers 5 reels and 25 paylines. The best award it provides is worth 10 000 coins. The coin value varies from 1 cent to 10 dollars-obviously you are encouraged to play with maximum value always. The wild symbol is a gorgeous, exotic dancer with big pink feathers decorating her hair, which is otherwise known as the Girl symbol. It also serves as the game’s wild. It is capable of replacing the rest of the symbols except for the scatter one in case of possible unfinished winning combinations. The Girl is extremely profitable when several appear on the reels and judging by her looks alone-the more the merrier. 3 of the exotic wild dancers pay 150 coins. 4 matching wilds pay 1000 coins and 5 will grant the tremendous top jackpot prize. The Club symbol, which actually depicts the lavish entrance of a club serves as the scatter. It can provide gamblers with free spins. Just like the Girl, the Club is also capable of delivering payments on its own but obviously they are much more modest-3 symbols grant 5 coins, 4 symbols pay 20 and 5 symbols provide 100 coins. The Club’s appeal however is contained within its ability to grant the free spins. In order to unlock them, you have to collect three Clubs and 12 free spins will be awarded. Furthermore, everything you win throughout those free spins will be multiplied by three. The rest of the symbols include a festival mask, a red flat top hat, a pair of gorgeous expensive looking earrings and a pair of tickets. There are also the usual card symbols-10, J, Q, K and Ace, the letters and numbers painted in different color. All of these symbols will deliver payouts-it will be tough for you to emerge a loser after the reels have been spun. The masks pay from 1250 to 6 coins, depending on the matching symbol combination the player from 2 to 5. The hats and the earrings from 500 to 3 both and their combinations also very from 2 to 5 matching symbols. The tickets and the Aces deliver between 20 and 150-their combinations can be made out of 3, 4 or 5 matching symbols. The Kings and Queens can give you as many as 125 coins and as few as 10 for triple, quadruple and quintuple combinations. The J’s and the 10’s also have combinations of 3, 4 and 5 of their symbols and pay from 5 to 100 coins. The bonus game goes by the name Pick and Win Feature. It can be initiated if the Girl symbol shows up on the first and the fifth reel simultaneously. Players will be presented will several symbols. Every time you select one, a prize will be displayed and you can choose to replace it with another and obviously once you drop that initial sum of money, you lose it for good. It sounds a bit risky but consider the following: Bangkok Nights’ bonus game can help you earn a collective prize that is 100 times larger than your initial bet. Additionally, there is another bonus round, which is called the Bonus Party Nights. With it, the choice will be between several drinks and each one will deliver a different award. A third special option in the game is the Gamble one, which is present with many other slots. You can choose between the selection of a colour or a suit. A correctly guessed colour doubles the payout and a correct suit multiplies it by 4. A night spent at a lavish Bangkok party might sound like an expensive venture but not here-this is the exotic celebration, where all the money will be coming to you as well as a big number of different positive gambling thrills.